The shift of one season into another is the perfect time to add some variety and change up your routine. Slowly, the days get a bit shorter and the air a little crisper. Fall is the perfect time of year to enjoy the changing scenery on your back porch with a relaxing glass of wine. With summer ending, and the weather becoming cooler, you may crave wines with a bit more body and substance than traditional summer wines have. Rose and white wines are popular during the summer and red wines are more commonly associated with winter. With fall bridging the gap, what wine varietals transition seamlessly from summer to fall? Below, Resveralife provides three suggestions for summer to fall wines. Though it is several months until winter, fall sees warm weather out and welcomes cooler temperatures. A smooth, round texture is characteristic of Merlot wine, which some experts consider to be the perfect “introductory” red wine for beginners. Merlot has very soft tannins, which is what is largely responsible for the wine’s smooth finish. Fruit notes typical of Merlot wines include blackberry, plum and some herbal flavors. One of the most popular wines worldwide is Cabernet Sauvignon, but this complex, highly tannic and full-bodied red can be a bit heavy for fall. Cabernet Franc is genetically the parent of Cabernet Sauvignon and it is often overlooked. However, Cabernet Franc is the perfect summer to fall wine as it is a lighter, brighter and less tannic red wine than its offspring, Cabernet Sauvignon. The main note in Carbernet Franc is often raspberries, though you may find leafy green, earthy or smoky aromas present as well .This is an elegant wine that smells like fall and is evocative of all the flavors and scents that define the fall season. Just because red wine tends to be what people gravitate to when cooler weather hits does not mean that you can’t enjoy a white wine during fall. Chardonnay tends to feature fruit flavors of lemon, pear, apple, pineapple, peach and passion fruit. An oaked Chardonnay is an excellent summer to fall wine as it is a rich, full-bodied white wine. In addition to the fruit flavors, oaked Chardonnays have flavors such as creme brulee, caramel, butter, caramelized sugar and pie crust. These flavors combined with the added richness and buttery texture of oaked Chardonnay make this wine one of the perfect summer to fall transition wines. When it comes to wine, the “rules” can be a bit overwhelming, but there are guidelines that help you receive the most enjoyment possible from the wines you drink. Summer to fall wines tend to be heavier and richer than their summer counterparts, while still retaining some light crispness. Remember that the only real “rule” to drinking wine is that you should drink what you enjoy and what brings you pleasure. Experimenting with different wines during different seasons help broaden your horizons and may introduce you to wines that become your favorites. The enjoyment of a great glass of wine is one of life’s simplest pleasures, though sometimes it may not seem simple to select your wine. Wines are available in so many varieties and have so many subtle, and not so subtle, differences that it can be downright overwhelming when you start to select wines. Often, when buying a Riesling or a Cabernet Sauvignon, you know what you are getting; which is wine produced using the Riesling or Cabernet Sauvignon grapes. But if you pick up a bottle with the word “varietal” on the label you may not be positive what it is that you’re choosing. Simply put, varietal means that the wine was produced using a specific wine grape. Further, in the United States, wine varietals indicate which grape is the dominant grape in the wine so that you have an idea of what flavor to expect. Some, but not all, bottles even include the percentages for every grape used in the blend. To make you more confident in your next wine purchase, Resveralife composed a guide to the most common wine varietals. Chardonnay – Wines produced using the Chardonnay grape are often medium to full bodied and complex. The most prominent notes in Chardonnays tend to be citrus fruits, melon, pineapples, peaches, butterscotch, butter and vanilla. There are other notes available such as apple, fig, pear, spice and hazelnut. Riesling – With origins in Germany, Riesling is a grape that grows well in all wine districts. These wines are most typically fruity, fresh apple flavors are particularly prominent, and can be floral as well. Riesling ranges from dry to very sweet, with many having a semi-sweet taste with an acidity for balance. Sauvignon Blanc – Sauvignon Blanc wines tend to be herbal and quite light. The herbal flavors often are reminiscent of grass or bell peppers. Sour fruits such as apple, pear and gooseberry or tropical fruits and blackcurrant, may also be present. Sauvignon Blanc wines tend to be crisp with a strong acidity. Cabernet Sauvignon – One of the world’s most popular wines, Cabernet Sauvignons are full-bodied and complex. These wines tend to be a bit dry and firm. Flavors can range from currant, plum, black cherry and spice to olive, peppers, herbs, tobacco, vanilla and mint, to name a few. The oak barrels in which Cabernet Sauvignon wines are aged are responsible for vanilla or toasty cedar flavors the wine may have. Pinot Noir – Another immensely popular red wine, Pinot Noir is fresh and delicate. These wines are smooth, rich and have soft tannins. The most prevalent notes of Pinot Noir wines are raisins with undertones of black cherry, raspberry and spice. Merlot – Merlot is a supple and smooth wine with a round texture and very soft tannins. The popularity of this wine is caused by its ease of pairing (nearly anything can be paired with a Merlot) and its softness, which is not what one associates with many red wines. Wines produced using Merlot grapes feature cherry, black cherry, herbs, green olive and chocolate. The wine selection process is a bit easier when you have a bit of background knowledge of common wine varietal. The label on a varietal wine will indicate which grape is the dominant grape in the blend, and may indicate the other grapes used as well. However, it is not required, and indeed it is illegal for a wine to label itself as a varietal is there is no dominant (75% or higher) grape used. When the word “varietal” is present on a label, it indicates what you can expect regarding flavor and finish. Branch out and try a different wine varietal for a new, and delicious, experience. Drinking water is a great way to hydrate your body while getting rid of unwanted toxins. While pure water certainly helps to achieve this, you can increase your results by adding certain fruits, vegetables and spices to your water. 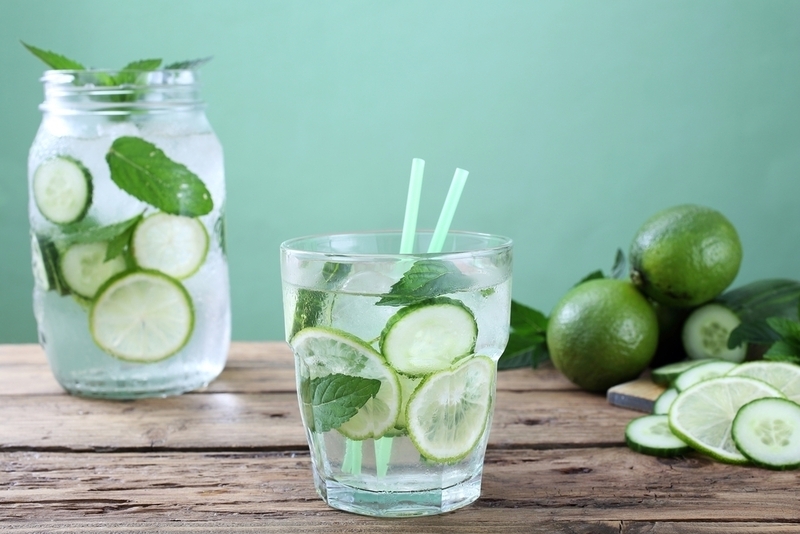 Detox water, also known as infused water, has been gaining popularity for some time now and is not a beverage that is limited to luxurious spa experiences. Making your own detox water is ridiculously easy and your options for flavor combinations are limited only by your imagination. The benefits of a detox water include removal of toxins, better digestion process, your body naturally releases fat cells and it can improve your mood. To get the benefits of these concoctions, Resveralife has picked three of the easiest, tastiest and beneficial detox waters for you to try. This flavor combination is a favorite among day spas, but not just because it tastes delicious. Lemons are excellent immune system boosters as they contain a high concentration of vitamin C. Adding lemon to your water increases water’s ability to clean the toxins from your body. Cucumbers are anti-inflammatories, meaning they reduce inflammation throughout your body. Because cucumbers are composed mainly of water, this vegetable helps keep you hydrated for long periods of time. To make lemon cucumber water all you need is a gallon pitcher, one whole lemon and a medium sized cucumber. Cut the lemon and cucumber to your preference (either wedged or sliced) and add to your pitcher. If you want to inject a bit more flavor, add some fresh mint leaves to the lemon and cucumber. Add ice to the pitcher on top of the fruit and fill with water, then allow it to steep in your fridge overnight. When all of the water is gone, you can refill the pitcher using the same lemon and cucumber about three times before you need to cut more fruits and vegetables. 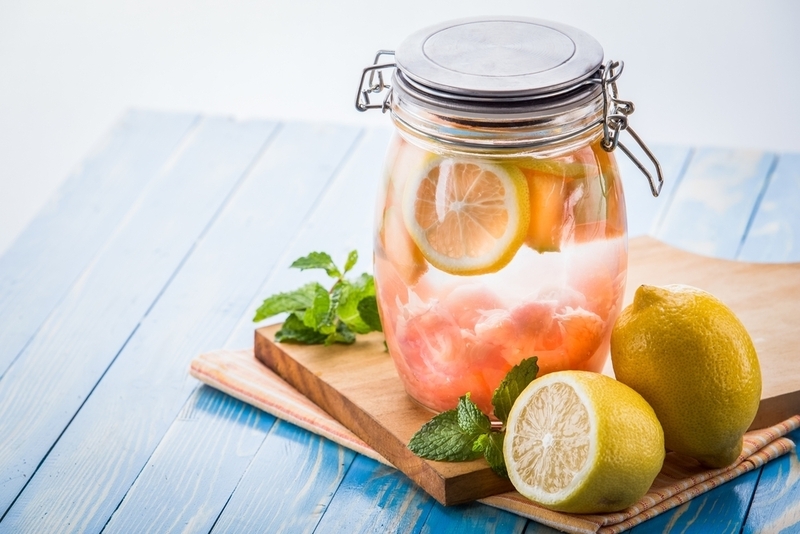 This detox water not only helps flush harmful toxins from your body, it is also a great way to satisfy a craving for something a bit sweeter without resorting to sodas or fruit juices packed with sugar. 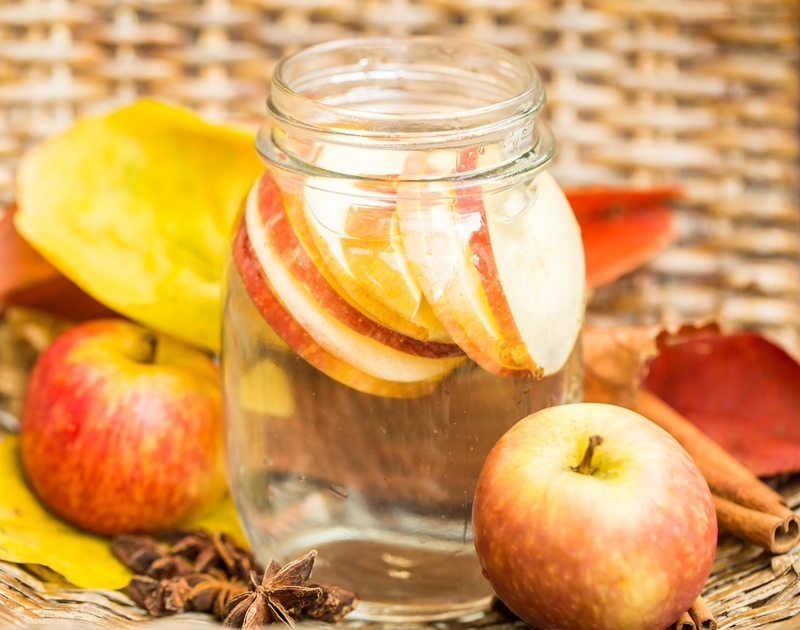 Apple cinnamon detox water contains virtually no calories, as the calories that come from the apple are negligible. Cinnamon in the water helps stimulate your metabolism and aids your internal organs in cleaning themselves while apple provides essential vitamins and minerals needed daily. To make apple cinnamon detox water, thinly slice one apple and add to your gallon pitcher. Place a cinnamon stick in with your apple and add ice. Fill your pitcher with water. For the most flavor, allow to sit for at least one hour before serving. Like the lemon cucumber detox water, you can use the same apple slices and cinnamon stick around three times. Grapefruit, the quintessential diet food, really is incredibly beneficial to your body and it helps completely detox your body. Tangerine is an excellent source of vitamin C and it adds natural sweetness to your water. 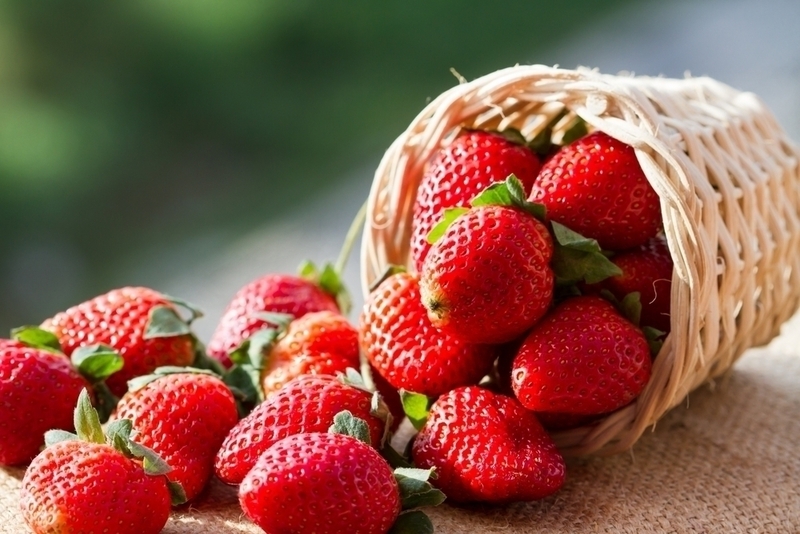 If you find you need a bit more sweetness, consider adding strawberries which will additionally provide you with vitamin C and anti-inflammatory properties. Slice the grapefruit, tangerine and strawberries and place at the bottom of your gallon pitcher. Add ice then fill with water. Reuse the fruit two to three times before replacing with freshly sliced fruit. Detox water is a refreshing, tasty way to increase your water intake without getting bored by glass after glass of plain water. You can create any combination of detox water that you like, such as lemon ginger, raspberry blueberry, mango tangerine…whatever sounds good to you. 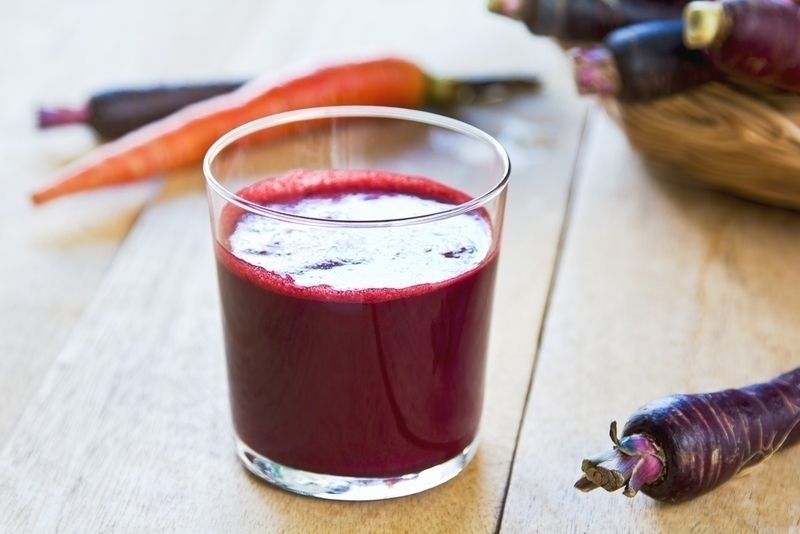 Drink up and detoxify with these delicious recipes. Malbec is a lively, entertaining red wine with origins in France. However, you are probably more familiar with Malbec as a product of Argentina or Chile. Argentina is credited with “saving” Malbec wine as the environment and climate of Argentine vineyards is perfect for Malbec grapes and they flourish when planted there. France, and other wine regions like Napa Valley, still do produce Malbec wines, and many of them are excellent. Due to the different growing conditions and soil, the taste of Malbec wine varies greatly depending on the region in which the wine was produced. Argentine and Chilean Malbec wines are famous for their intensely fruity, luxurious Malbec wines while French Malbecs are more commonly referred to as earthy or green wines. Still, no matter what Malbec region you select a wine from, there are plenty of food options for Malbec pairing. Here are some of our very favorite, and most delicious, Malbec pairings. Malbec can take you through your entire meal from appetizers and hors d’oeuvres to dessert despite the region. If you plan on serving a Malbec with a light, fruity taste, then you could prepare a traditional charcuterie platter or serve some smoky, cured beef as a starter. 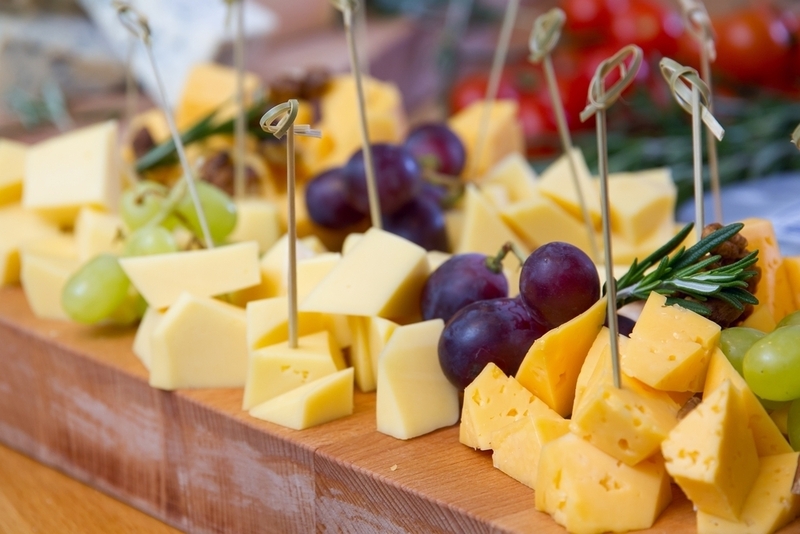 Cheeses that pair with all styles of Malbec include Manchego, Iberico, Taleggio and Cashel Blue. 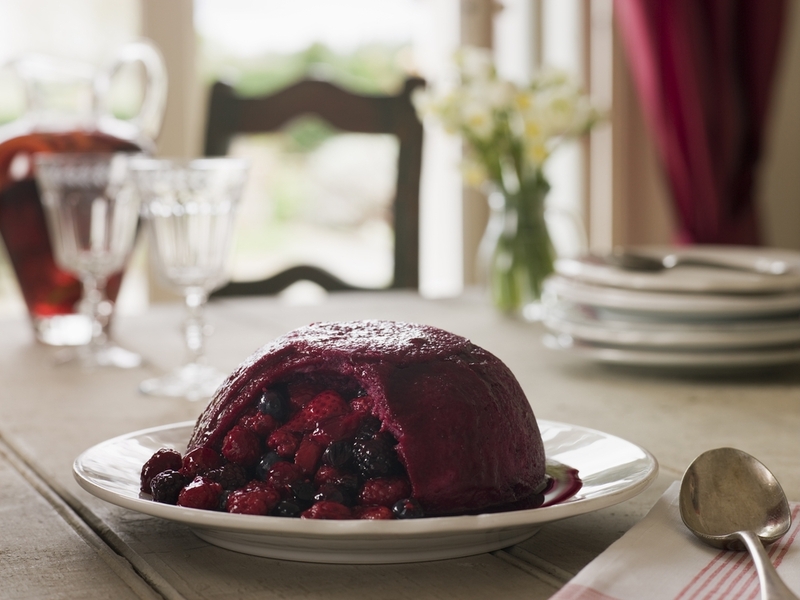 You can also serve with farmhouse cheddar or a mellow blue such as Stilton. This is where Malbec truly shines. There are so many options when it comes to pairing Malbec with your entree. Malbec is excellent red meat and darker poultry meat. It also pairs well with earthier flavors, like a brisket, as well. One of the most popular pairings with Malbec is lamb. 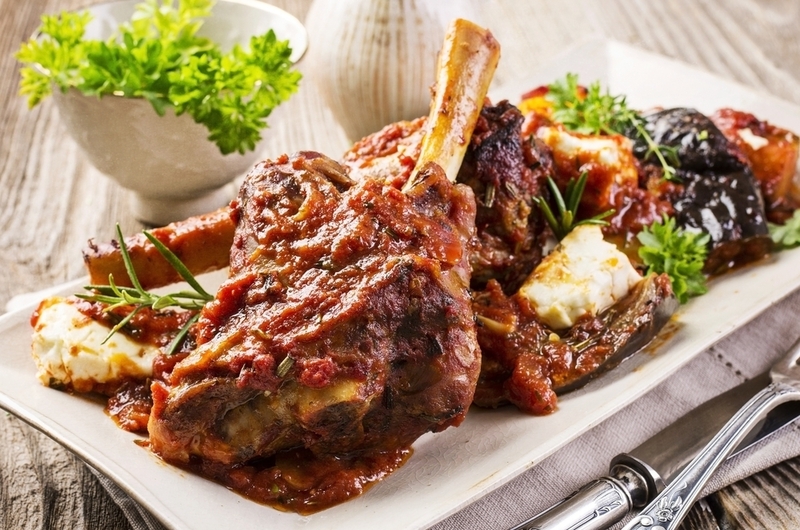 Try lamb shanks, a lamb stew or a spicy lamb curry. Beef is another frequent choice of meat to pair with Malbec and you have virtually unlimited options. Serve Malbec with a juicy hamburger, a hearty steak or serve with a cozy roast beef. If you want to enjoy Malbec with a super simple dinner you can make with little preparation, consider serving spaghetti and meatballs of American style spaghetti bolognese. Another option for a beef dinner that requires a bit of prep but is easy to throw together at the last minute is steak fajitas. Use spices cumin, smoked paprika and garlic to further enhance this Malbec pairing. There is some debate over whether or not Malbec pairs well with chocolate, but many seem to be of the opinion that chocolate is a great dessert when drinking Malbec. Some Malbec wines feature hints of cocoa and milk chocolate, but milk chocolate is not a great pairing with Malbec. Stick to darker chocolates, especially those with a 70% or higher cacao content. 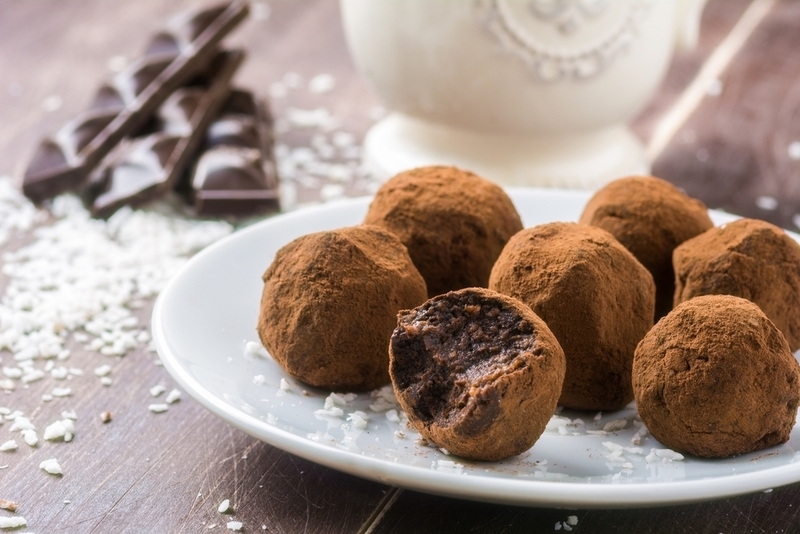 Dark chocolate truffles are also an excellent choice for a decadent dessert. If you are looking for something a bit more unique than chocolate, consider making a plum compote. This fruit concoction echoes the dark fruits found in Malbec. You can serve plum compote with a slice of cake, a dark chocolate ice cream or on it’s own with a bit of vanilla spiked whipped cream. While Malbec may not be the first red wine you think of, it is a red wine that deserves your attention. Pairing Malbec is quite easy with a bit of imagination and this wine has the ability to carry you through and entire meal. Of course, the above are guidelines based on what flavors work best with Malbec wines, but the best pairing for you is one that you thoroughly enjoy. Have fun experimenting with bold flavors and different styles of Malbec wines to create the perfect pairing for you. Traditionally, the color purple is associated with royalty and not food. How many times in the past week, or even month, have you enjoyed a naturally purple food? The answer is probably not many, if any, meals included purple foods. The National Health and Nutrition Examination Survey suggests that Americans are not eating enough of this royal-hued produce. Why include purple foods in your diet? Foods that are naturally purple in color are colored this way due to chemicals known as anthocyanins. Anthocyanins are believed to provide health care benefits for your eyes, heart and slowing the aging process. Additionally, anthocyanins soothe inflammation in your skin and body while also fighting off free radicals. Interested in experiencing these benefits for yourself? The following foods are easy (seriously) to incorporate into your diet and may increase not only the longevity, but also the quality, of your life. Purple cauliflower is actually a variety of broccoli that when cooked will turn green. This purple vegetable provides a high concentration of anthocyanins. Anthocyanins have also been linked to aiding in reducing the risk of cancer, heart disease, diabetes and neurological conditions. 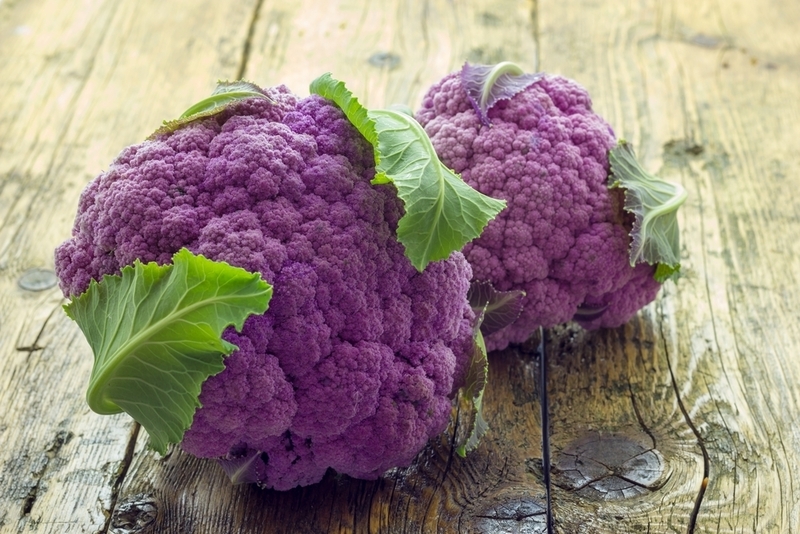 In addition, purple cauliflower is an excellent source of vitamin C, potassium, dietary fiber and B vitamins. If you can’t find purple cauliflower in your local grocery store, check health food stores or farmer’s markets to locate it. Break florets off for a colorful addition to your salad, roast them in your oven with garlic for a flavorful side dish or simply wash and eat it raw on its own. These may be a bit more difficult to locate than purple cauliflower, but if you can find them definitely pick some up. You may have to make a trip to a specialty health food store or a farmer’s market, but these vegetables not only contain anthocyanins, they also contain pro-vitamin A carotenoids. Pro-vitamin A carotenoids provide benefits in the form of weight control and glucose (blood sugar) control. In fact, one study suggested that individuals with high levels of pro-vitamin A carotenoids had half of the risk of diabetes as those who didn’t. Replace orange carrots in your favorite soup, making carrot fries or munching on them as a snack are great ways to enjoy this purple vegetable. 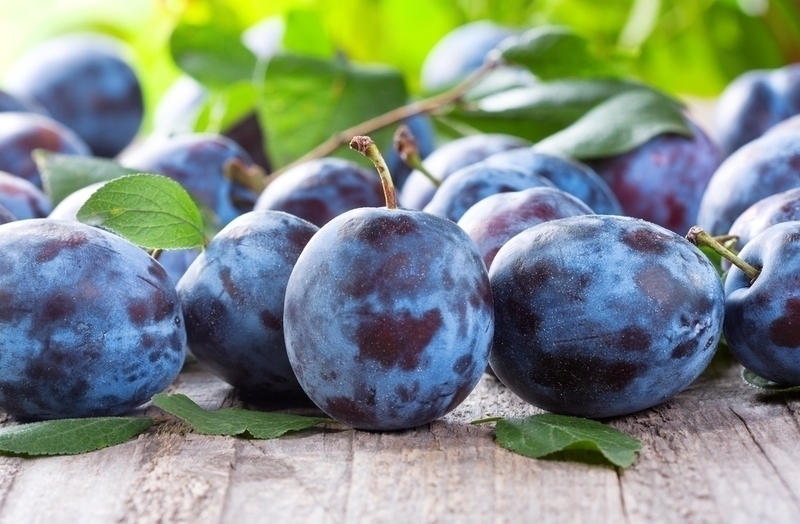 Plums and their dried counterparts, prunes, are an excellent way to sneak some anthocyanins into your diet. In addition to containing these helpful chemicals, plums are also a great source of vitamins A and C. Plums also are a great source of dietary fiber, magnesium, calcium, iron and potassium. A recent study indicates that eating plums (or prunes) regularly may also help lower LDL (the “bad” cholesterol) levels in your body. Plums and prunes are widely available and should be a sweet and easy way to incorporate purple foods into your diet. Purple foods may seem exotic and perhaps intimidating, but this could not be farther from the truth. In addition to the foods listed above, there are purple varieties of potatoes, kale, cabbage, onions and even peppers. Increasing your intake of naturally purple foods adds years to your life while providing tasty options for your meals. This Argentine Malbec is one of the greatest values when it comes to high-end, luxury Malbec wines. That being said, it is still pricey at $50 per bottle, but you may want to consider the splurge for such a decadent wine. The Trapiche 2006 Vina Federico Villafane Single Vineyard Malbec provides an intensive burst of black fruits, such as black cherries, at the onset and is followed by very subtle finishing flavors. This Malbec is a lush, ripe wine that also features hints of cola mixed with the black fruit. Again, this Malbec hailing from Napa Valley, California is not a low price point wine. This Malbec costs $55 per bottle, but like the Malbec listed above, you may not want to write this Malbec off on price alone. The Hess Collection 2012 Small Block Series Malbec is a rich wine that provides wonderful flavors of blueberry cobbler, blackberries and a bit of licorice at at first with little acidity and very soft tannins. The finishing notes of this Malbec are vanilla and chocolate with a hint of spice. While Argentine Malbec heavily features opening fruit flavors, Malbec wines produced in France are often quite different. The Jean-Luc Baldes 2008 Clos Triguedina Les Galets Malbec has a very mineral-like flavor and texture that mingles with black fruits. At $25 per bottle, you will definitely want to try this French Malbec. Malbec is a wine that everyone can enjoy. It often features low to medium acidity and softer tannins than other red varietals. Malbec from Argentina has strong, dense flavors of dark fruits while French Malbec is often more earthy with flavors described as green stem, black pepper and spice. No matter what your mood or meal is, there is sure to be a Malbec that fits perfectly. The link between diet and health is inextricable. The foods that you choose when you’re at the market affect every aspect of your body from your general health to your toenails. A nutritious, well-balanced diet provides your body with everything it needs to run at peak efficiency. The old adage “you are what you eat” is certainly true when it comes to diet and your skin. Once you decide to eat your way to better skin (and overall health) it can be a bit daunting and overwhelming to start writing up grocery lists and planning your meals. Which foods are most beneficial to your skin? Resveralife researched this question and we’ve rounded up the five best, and most delicious, foods to eat your way to better skin. We figured we’d start with something that you will be delighted to add to your next shopping list. 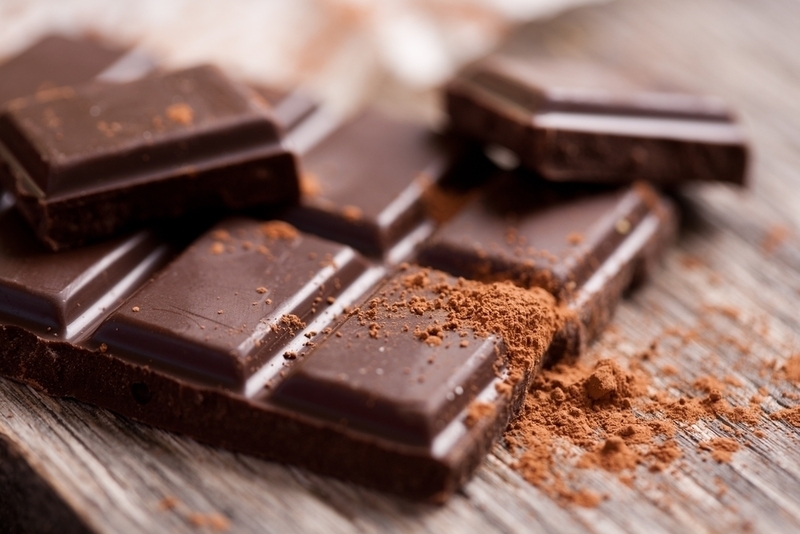 Chocolate can help give you glowing skin, but only if you are consuming dark chocolate. Milk chocolate does not have nearly the same amount of cacao that dark chocolate does. The famous skin expert, Dr. Nicholas Perricone, notes some of the benefits of dark chocolate saying, “…dark chocolate contains high levels of flavonols, a potent type of antioxidant.” Cocoa also helps hydrate your skin, making it more supple. 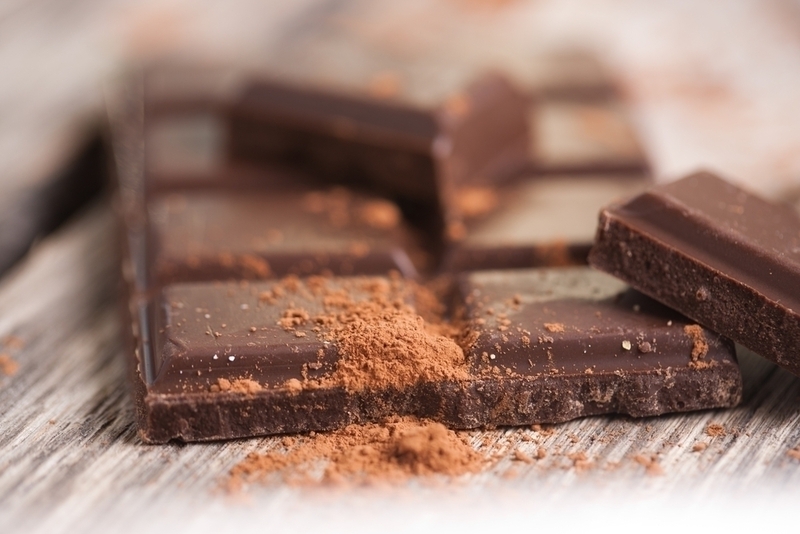 Look for chocolate that is 70% dark chocolate or higher to reap the benefits while satisfying your sweet tooth. Walnuts, another tasty treat, have several components that make them a great choice when you want to eat your way to better skin. 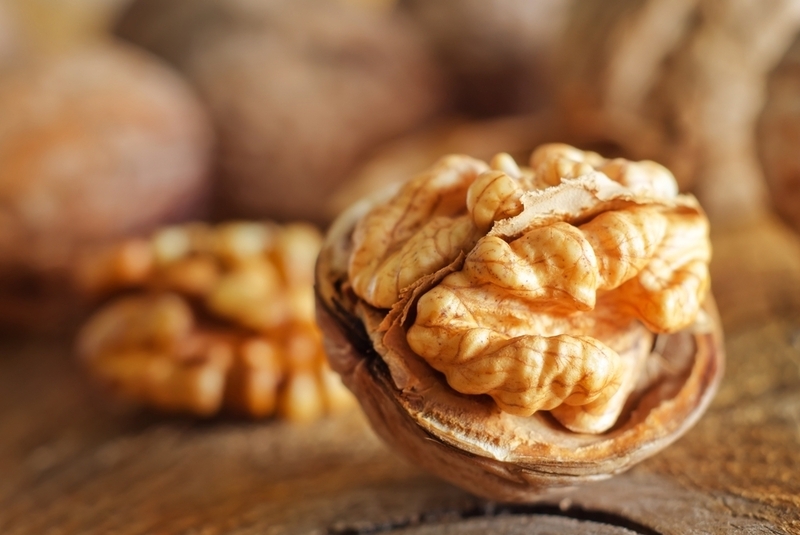 Walnuts are the only type of nut that contain a high level of omega-3 fatty acids. While omega-3 fatty acids benefit everyone, they are especially beneficial to those who follow a vegetarian diet that do not enjoy fish. 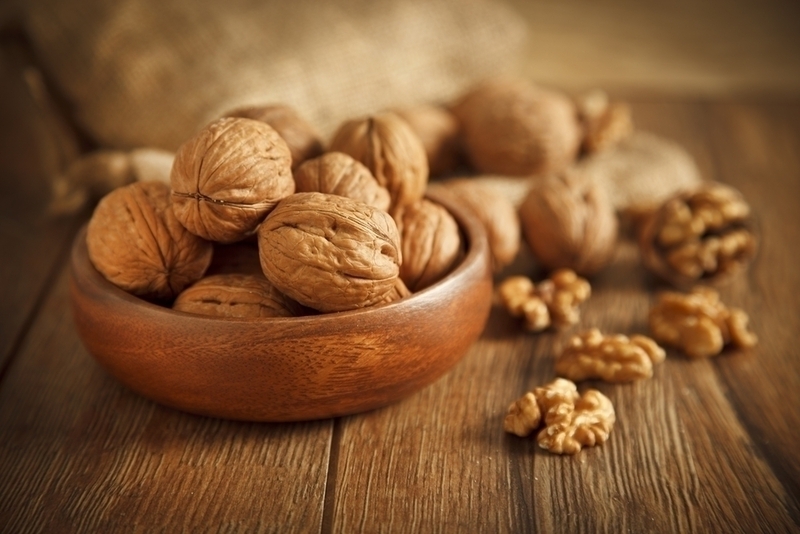 In addition the the omega-3s that walnuts provide, they are also high in copper. Copper is a mineral that boosts collagen production, leaving your skin firmer and smoother. 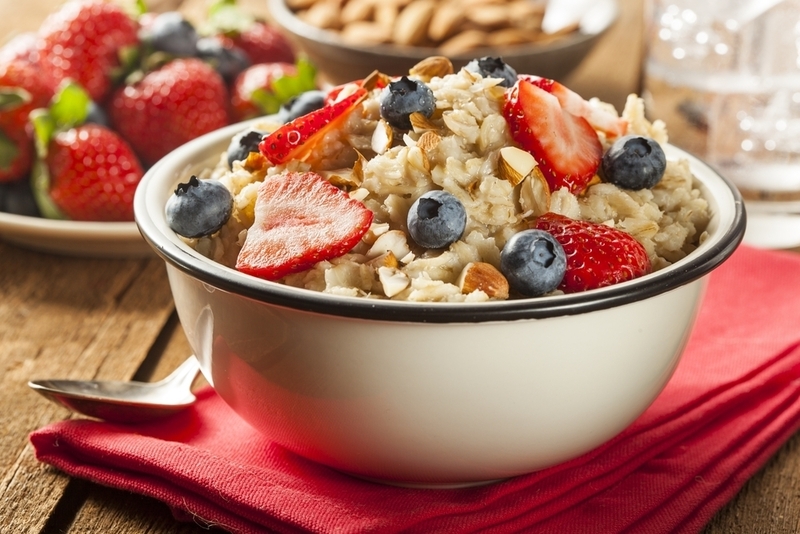 A great way to start your day, oatmeal (particularly steel cut oats or whole grain oatmeal) is a complex carbohydrate that fills you up. Choosing a sugary cereal spikes your insulin levels and that can be bad news for your face. When insulin spikes it increases production of hormones known as androgens, which in turn increase oil production and the end result is more zits and pimples on your face. Oatmeal has skin healing properties and takes longer to break down in your body, which means that it keeps your blood sugar at a steady level. Okay, this one can be more of an acquired taste, but figuring out ways to fix it that you enjoy will significantly help your skin. 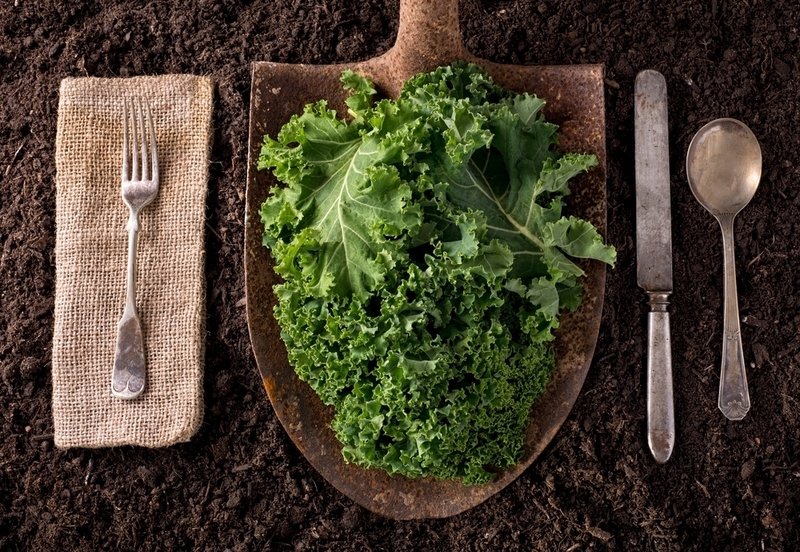 A one cup serving of kale provides you with 134% of vitamin C and 133% of vitamin A. Additionally, kale contains lutein and zeaxanthin. These nutrients neutralize and absorb free-radicals that are caused by ultraviolet radiation, including those UV rays that may get past your sunscreen. There are tons of ways to eat kale, so there’s bound to be something you love whether it’s a green smoothie, a chopped salad or a snack like kale chips. We wanted to include a healthy drinking option on the list, because sometimes you want something other than water. 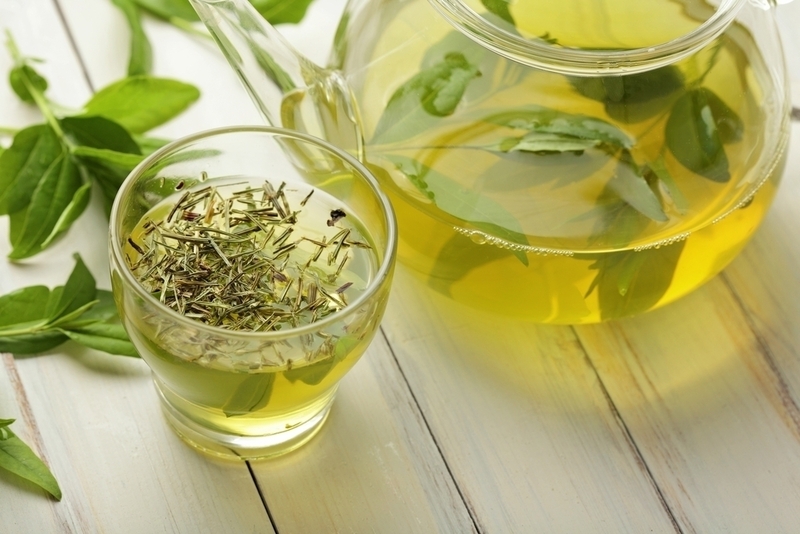 Green tea is incredibly high in antioxidants and one in particular, EGCG, that helps reduce redness. 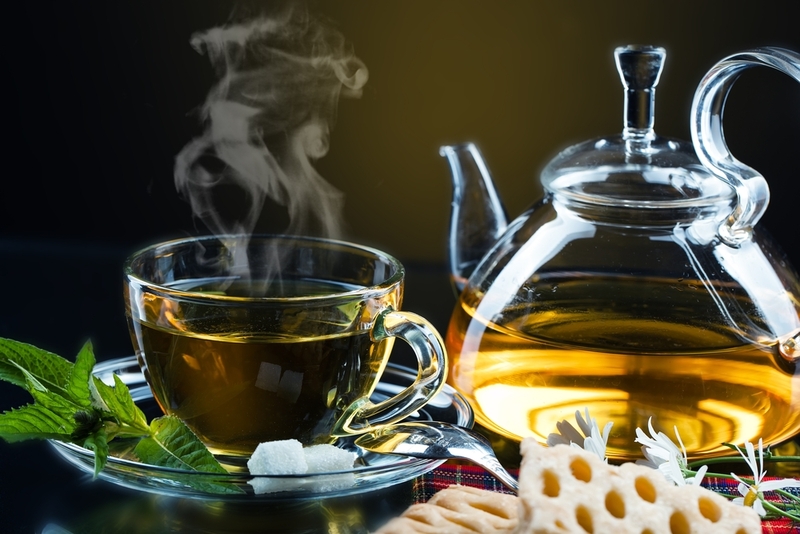 In addition, the antioxidants in green tea increase oxygen flow to your skin and boost your circulation. Studies have also shown that green tea fights inflammation in the body. Enjoy at least one cup of green tea daily to get the skin rewards this powerful drink offers. It really is possible to eat your way to better skin, and not all of the foods that benefit your body are bland and boring. Strive for five servings of fruits and vegetables each day and limit the amount of refined sugar you eat. Always pick whole grains, complex carbohydrates, over simple carbohydrates that are overly processed. Combined with exercise and great skin care, your healthy skin diet will leave you looking and feeling your best. Merlot is one of the most popular wines in the entire world. In the United States, it ranks second most popular behind Cabernet Sauvignon. However, in the past few years wine experts and connoisseurs have deemed Merlot to be an unworthy wine. Perhaps this is because it tends to be an easy-drinking wine with a smooth texture and finish and low, unobtrusive tannins. Merlot wine may be easy-to-drink and beginner friendly, but that does not mean that seasoned wine drinkers cannot enjoy or appreciate fine Merlot wine. Merlot is a classic wine, with origins dating back to 19th century France. Learn more about the history of this velvety red wine below. The earliest mention of Merlot in France was written in the notes of a Bordeaux official in 1784. This local official noted that the wine coming from the Libournais region was among the best in the area. In this document, Merlot was named Merlau. It was not until the 1800s that the word Merlot was used in reference to the wine. In 1824, an article on Medoc wine described that the Merlot grape was named after the local blackbird. There are two thoughts regarding the naming of the grape: one is that it was named because local blackbirds loved to eat the ripe Merlot grapes and the other is that the grape (and wine) was named simply due to the color of the blackbirds. Merlot was first recorded in Italy around Venice and was called by the name Bordo. Fruity Flavors – Merlot can have fruit flavors such as raspberries, dried cherries, blackberries, blackcurrant and plum. Spices – The region in which the Merlot grape is grown affect the spices that are present in the wine but some common spices are cloves, mint, caramel, bay leaves and black pepper. Oak Flavors – Again, it will depend on whether the Merlot has been lightly or heavily oaked, but some of the resulting flavors are smoke, tar and oak for heavily oaked Merlots and vanilla and coconut in lightly oaked Merlots. Age of the Bottle – Wine gains new flavors in the aging process and Merlots have some interesting notes from aging. Common flavors include earth, tobacco, leather and coffee. Knowing a bit of history about the wines you prefer is a bit of fun and it gives you an appreciation for where the wine originated and what the wine has become. Merlot truly is one of the best red wines for beginners, though that does not mean that a seasoned wine veteran cannot enjoy its fruity flavors and smooth finish. Merlot also pairs with a large variety of foods, making it less stressful to find a great combination. Sit back, relax and enjoy a glass of Merlot at the end of a long day. Merlots may also have hints of black olives, cedar, licorice and tobacco. The type of Merlot you drink will largely depend upon the climate in which it was grown. Cool climates yield a silky, soft-tannin Merlot while warmer climates lean towards a full-bodied, acidic Merlot. While Merlot is a joy to drink on its own, Resveralife has put together some foods that help bring out and enhance the flavors of Merlot. Merlot is a highly versatile wine and pairs with a number of dinner options from hearty vegetarian dishes to meals featuring red meat. 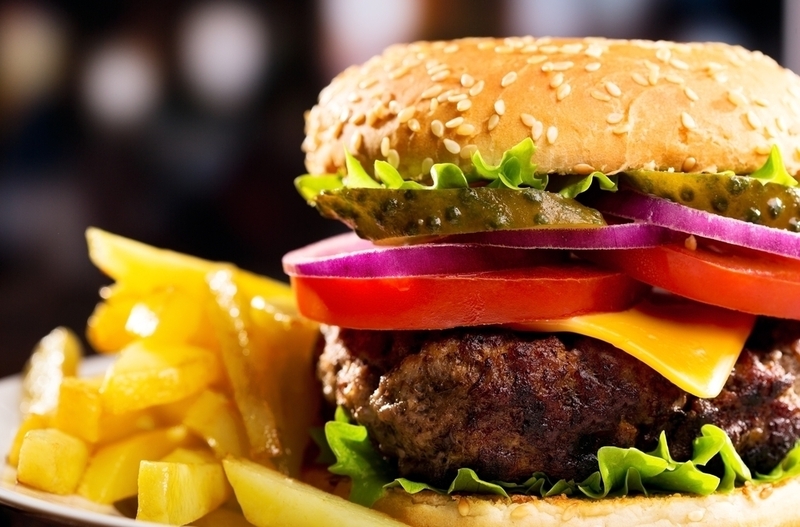 One of the easiest food pairings is a classic, thick and juicy hamburger. If you prefer a cheeseburger, add some medium sharp cheddar to your burger. Another relatively easy to make dish is classic spaghetti and meatballs. Not only are the meatballs a great accompaniment to Merlot, but the tomato sauce cuts through the acidity of Merlot as well. 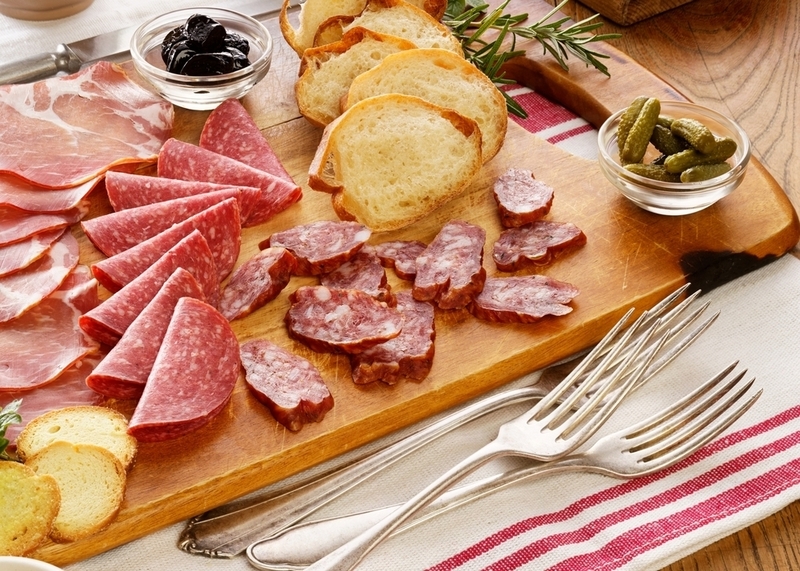 You can also create a charcuterie platter that features an assortment of smoked meats. For vegetarians and others who enjoy main courses that use vegetables as the center, there are multiple Merlot pairings that you can create. One of the tastiest vegetarian dishes is to create a vegetable red curry. The vegetables you choose are completely up to you, but some suggestions are eggplant, potato, and asparagus. Another great vegetarian pairing for Merlot is eggplant rollatini. This blends creamy, tomato based sauce and eggplant for a dish that seems made for Merlot. 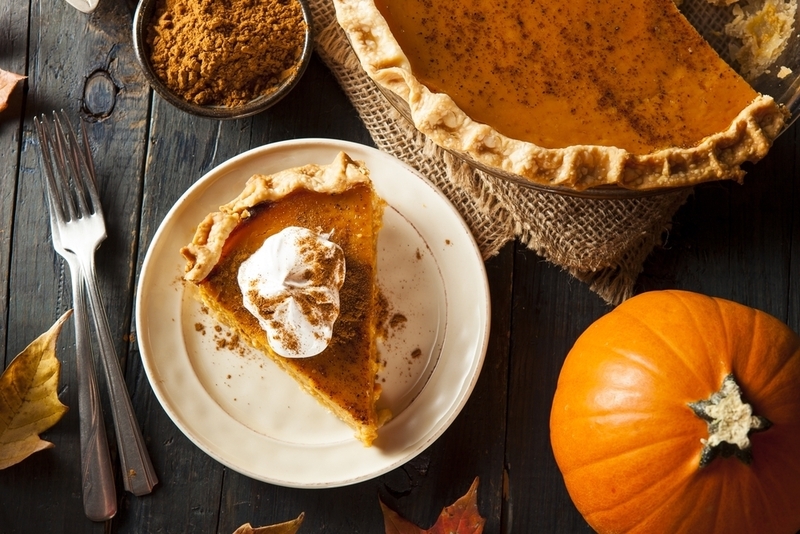 As a general rule when pairing food and wine, desserts are paired with dessert wines, but that doesn’t mean you can’t enjoy a Merlot with sweet foods. A fruit tray full of blackberries, red grapes, black cherries and plum is a perfect end to a meal served with Merlot. You could also serve Merlot with a creamy dark chocolate mousse topped with blackberries and raspberries. Merlot is an incredibly popular wine worldwide and with the generous pairings the wine allows it is no surprise that people love to drink it. Experiment with Merlots produced in different climates for the full effect of what the Merlot grape is capable of. Remember that when it comes to wine and food, the most important rule to follow is to eat, and drink, what you like.